If Not…WE SHIP FAST AND EVERYWHERE. We ship to all 48 contiguous states. 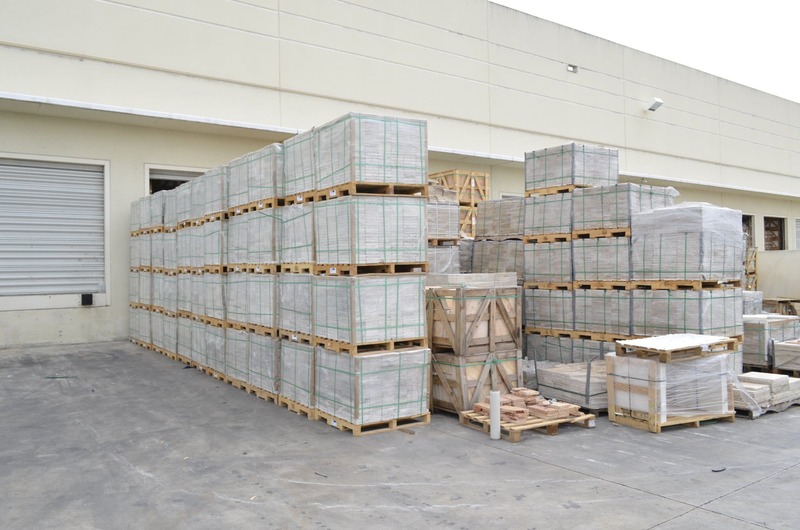 As tile Stores Due to our contracted freight companies’ limitations, there may be areas that are not within our shipping capabilities. Again, please call us if that is your case. We’ll try to find another carrier that travels to your particular area. We can also arrange shipping to Alaska and Puerto Rico. If you live in AL and PR, please call us before for shipping information. Our products are in stock and ready to ship. If you see it on our website, it is in stock. Occasionally, due to a high demand on a product, there may be instances in which we may be out of stock. We normally stock our products every two weeks so there is a good chance the product will be available soon. Freight charges depends on many factors such as order weight, number of crates, destination, service, weather and season. You only pay taxes if your material is shipping within the state of Florida. We work with the best trucking companies in the Country, and for our high volume , we get the best rates to ship everywhere. Our deliveries are Curbside. Residential will take 5 business days approx. to reach destination and Full truck load between 2-5 days . Our customers can pick up their orders at our dock, free of charge. When you have an order of more than 19.999 lbs. , we may need to move your consignment with a Big truck ( Box truck ) . FTL do not have a lift-gate attached, which means that customer must provide the right machinery to unload the stone on destination. Machinery need it to unload: A forklift and pallet jack that can handle more than 3.000 lbs. . Drivers cannot help unloading the stone. When you have a small order we send it with a LTL CARRIERS. Please consider when placing the order to add the lift gate service if you need carrier to place the crates on the ground for you (as close they can get to your location). See you don’t necessarily need local tile Stores we can get it to you.